Professor Nowak has been a Professor at the Institute of Constitutional and Administrative Law at the University of Vienna since 1986. He was member of the Austrian Delegation to the U.N. Commission on Human Rights (1986 and 1993) as well as director of the Netherlands Institute of Human Rights (SIM) at the University of Utrecht (1987-1989). In 1989, he founded the Austrian Ludwig Boltzmann Institute of Human Rights in Vienna and coordinated NGO-parallel events during the 1993 UN Conference for Human Rights in Vienna while he also was Professor of Law at the Austrian Federal Academy of Public Administration in Vienna until 2002. As U.N. expert on missing persons in the former Yugoslavia he started a process aiming at the identification of missing persons through exhumation of mortal remains between 1994 and 1997. From 1996-2003, Manfred Nowak was a judge at the Human Rights Chamber in Bosnia. Since 2000, he is head of an independent human rights commission at the Austrian Interior Ministry. From 2002 to 2003 he was visiting professor at the Raoul Wallenberg of Human Rights and Humanitarian Law at the University of Lund. He has been a UN expert on legal questions on enforced disappearances since 2002 and was appointed UN Special Rapporteur on Torture and other Cruel, Inhuman or Degrading Treatment in 2004 with a mandate until 2010. 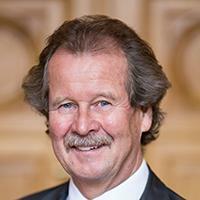 In addition, Manfred Nowak is also Chairperson of the European Masters Degree in Human Rights and Democratisation (since 2000). Manfred Nowak has published more than 400 books and articles on international, constitutional, administrative, and human rights law, including the standard commentary on the International Covenant on Civil and Political Rights. He was awarded the UNESCO Prize for the Teaching of Human Rights in 1994 and the Bruno Kreisky Prize for Human Rights in 2007. Copyright © The African Child Policy Forum (ACPF) & Defence for Children International (DCI) 2019. All Rights Reserved.